Break Away Book Club Edition, 9780253022516, 376pp. Fans today may be surprised to learn Scott Russell Sanders was one of the brightest science-fiction newcomers of the 1980s. In Dancing in Dreamtime, he returns to his roots, exploring both inner and outer space in a speculative collection of short stories. At a time when humankind faces unprecedented, global-scale challenges from climate change, loss of biodiversity, dwindling vital resources, and widespread wars, this collection of planetary tales will strike a poignant chord with the reader. Sanders has created worlds where death tolls rise due to dream deprivation, where animals only exist in mechanical form, and where poisoned air forces people to live in biodomes. Never before has Sanders's writing been so relevant and never before have the lessons in these stories been so important. 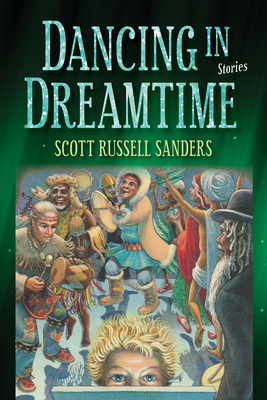 Scott Russell Sanders is an award-winning author of over 20 books of fiction and nonfiction with an environmental focus. Sanders's work has been compared to that of Emerson and Thoreau, as well as to that of Wendell Berry and Annie Dillard. He is Distinguished Professor Emeritus of English at Indiana University Bloomington.